ChronoZoom originates from a scientific community project inspired on the emerging academic discipline called Big History, that studies the history of the Universe from the Big Bang to nowadays. Its intention is to show the history of the Universe visually and, therefore, the history of life and mankind. It has been developed by several research institutions such as Microsoft or the University of Berkeley, among others, and anyone can join the project to do their part. 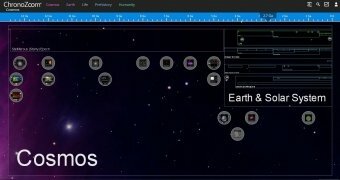 ChronoZoom represents a timeline, on which the user can move around to his/her own liking, of the history of the Universe from the Big Bang to nowadays, with all the happenings that we know about. Thus, we can move to the moment at which the galaxies were formed, for instance, or to the genesis of life on Earth. Each concept is framed within a timeline with the corresponding video explanations carried out by experts that will clarify all our doubts about these matters. ChronoZoom is a collaborative project of the scientific community. 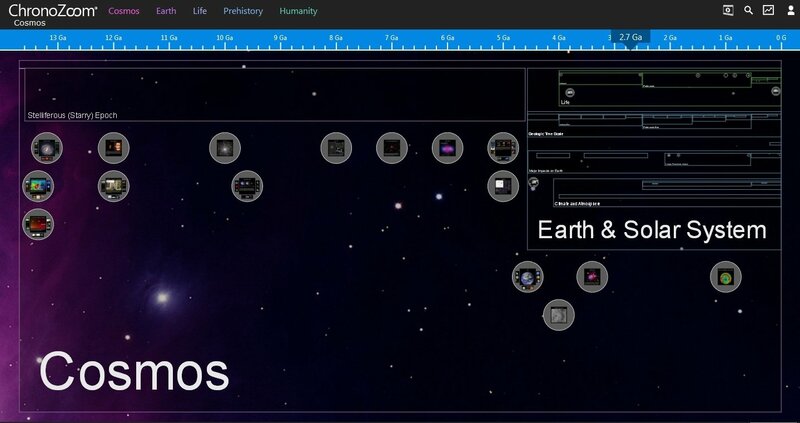 Representation of the Universe's history by means of timelines. 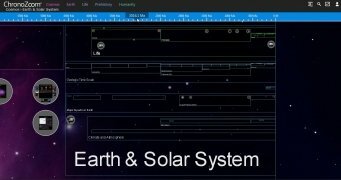 Possibility to check anything about the eras of the Universe, Solar System and Earth, genesis of life and the appearance of mankind, in a summarized manner. 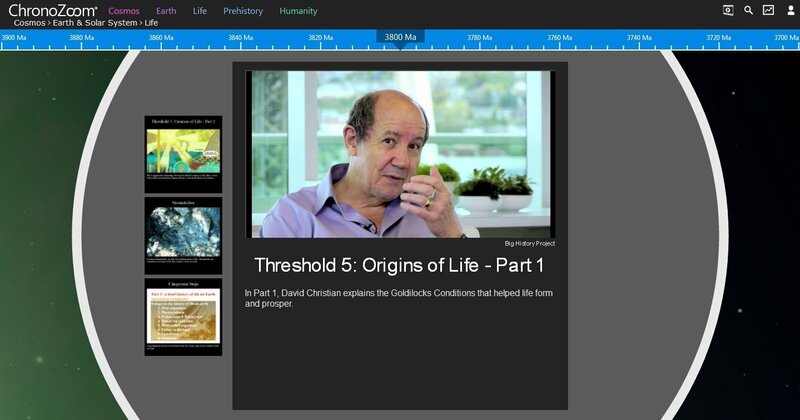 Explanatory videos by experts in the fields of astronomy, physics, geology or prehistory. 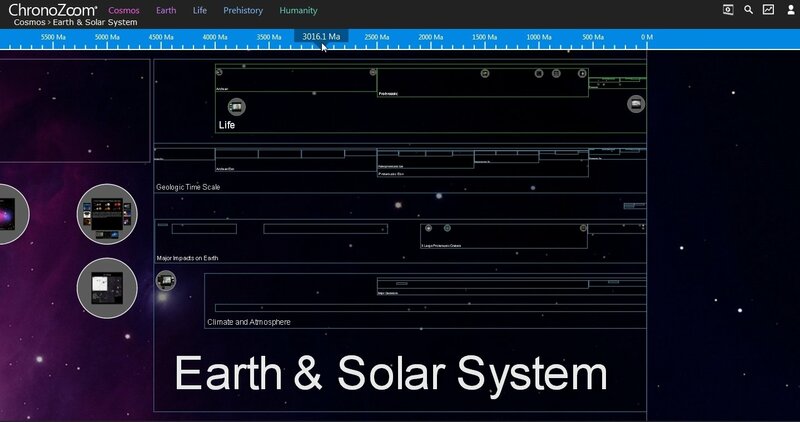 Evolution of Earth and the Solar System measured on several timelines. 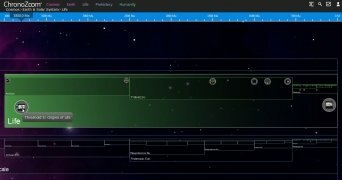 The user can create his/her own timeline. 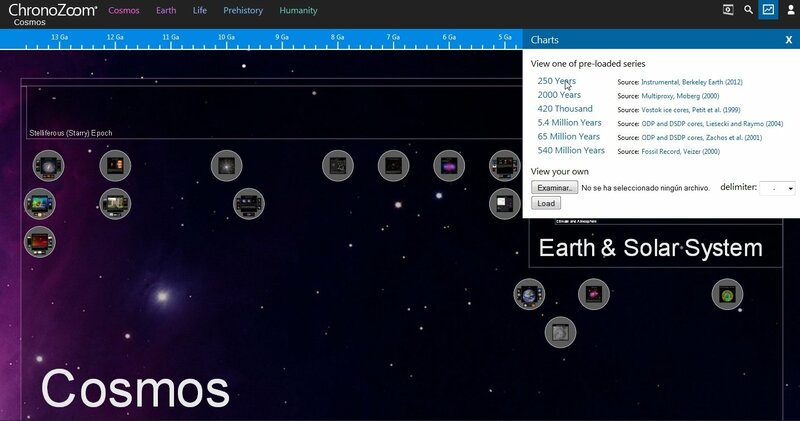 ChronoZoom has several ways of browsing through the history of the Universe. You can travel over the years and to specific moments thanks to the top bar, measured in chronological units that vary depending on the precision of the moment sought. 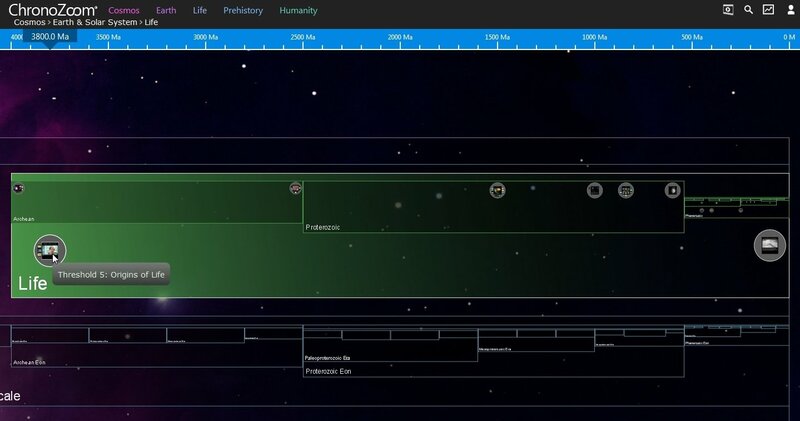 You can move around the timelines represented in the central area of the screen, or directly by clicking on the most important events for mankind, which are indicated on the upper part of the screen. 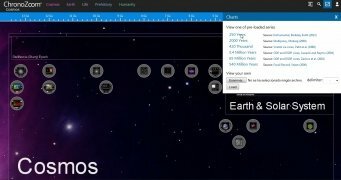 Discover all you need to know about the history of the Universe, in a visually and appealing manner, thanks to ChronoZoom. You need to register for free to be able to create your own timelines.